Born in Philadelphia in 1924 to Greek immigrants, James Galanos was raised in southern New Jersey near his parents’ restaurant. 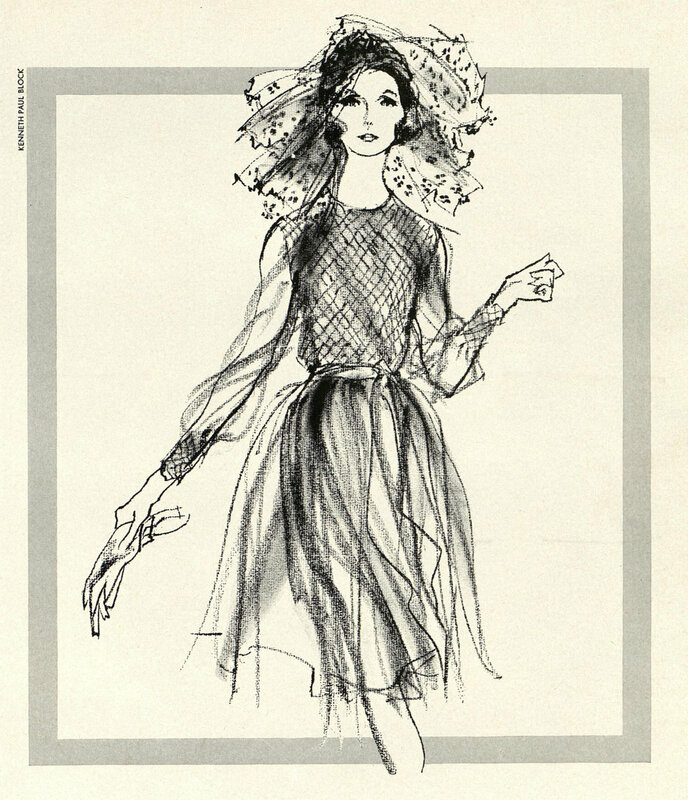 He studied fashion design for a year at the Traphagen School of Fashion in New York in 1942-43. After briefly working for Hattie Carnegie, Jimmy began selling sketches to design houses up and down Seventh Avenue. Brought to Los Angeles by a job for the textile magnate Lawrence Lesavoy that fell through, he apprenticed with the costume designer Jean Louis at Columbia Studios. 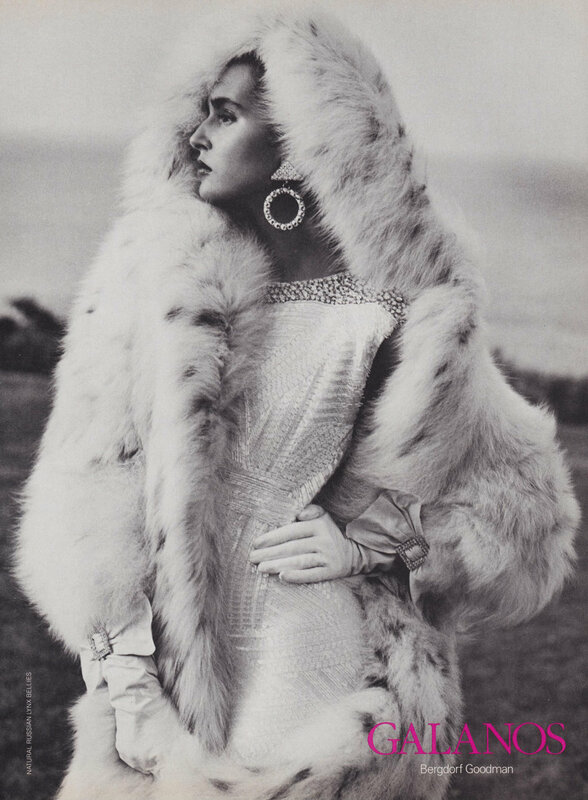 With the Lesavoy’s assistance he was able to travel to Paris in 1948, where he worked as an assistant for Robert Piguet alongside Pierre Balmain, Hubert de Givenchy and Marc Bohan. Upon his return to the United States, he found employment as a designer for Davidow. Unhappy with the lack of creative control, he left after a few months. Jobless, Galanos followed the American dictum of “go west” and moved to Los Angeles. The 1950s were definitely Galanos’ decade: from opening his company in 1951, by 1956, they had expanded to such a degree that they moved to an 11,000 square foot production and showroom space—almost triple the size of their previous location. Some of the success probably rested with Grace Kelly decision to include several Galanos cocktail and evening dresses in her trousseau as she prepared to sale for Monaco and her wedding to Prince Rainier III. Jimmy also began designing costumes for Rosalind Russell in 1953; they continued to work together throughout her career. He won the Coty “Return” Award in 1956, the Cotton Fashion Award in 1958 and was inducted into Coty’s Hall of Fame in 1959. 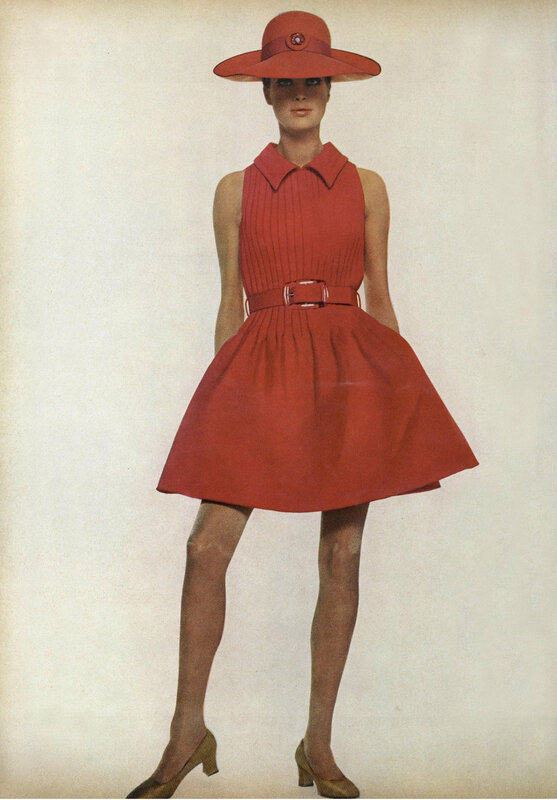 Though he was known for his classicism, there were a few periods when he pushed elements of the silhouette passed the current vogues—his wider-shoulder looks for summer 1959 were described by the NY Times as “exciting, avant garde and almost futuristic in appearance,” and the following year his dropped waistlines stunned the audience. Universally considered “one of the nicest people in the entire business,” Galanos was highly esteemed by associates and clients alike. 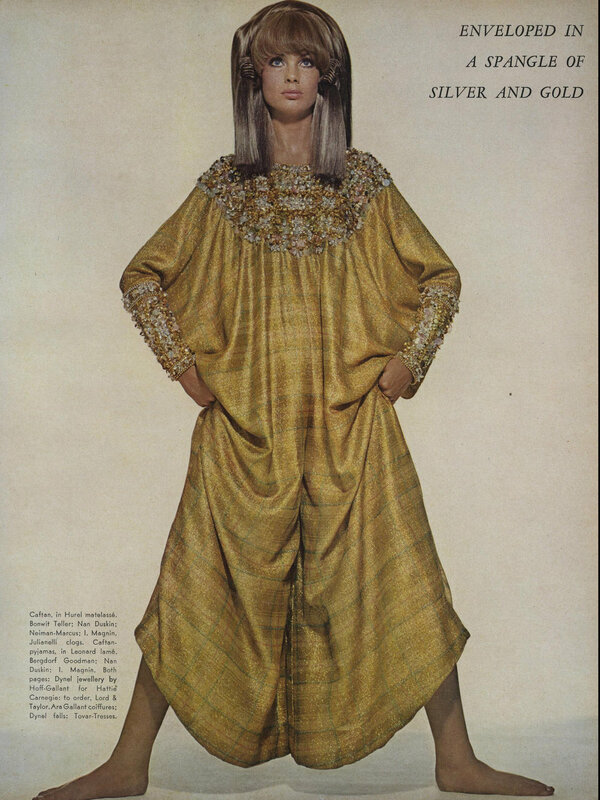 The New York Times described Galanos girls as “loyal, worldly, assured and meticulously groomed. They usually have small bones and large bank accounts…”—the key adjective here being ‘loyal’ as his fans were known to collect and wear predominantly his designs. 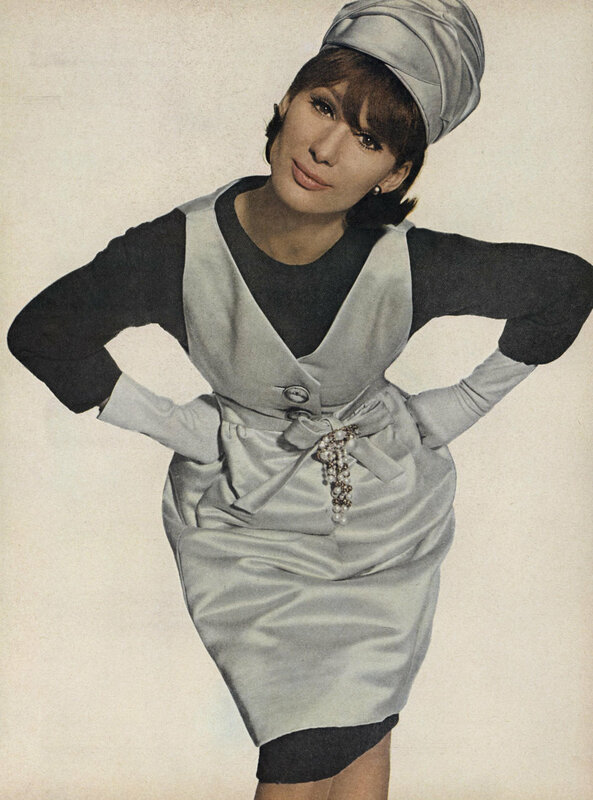 Many were formerly couture fanatics but found that the quality and fit was just as good from Galanos as it was from Balenciaga, and they didn’t even need to cross the ocean and attend multiple fittings. The convenience he provided to women who could afford it was immeasurable. Nancy Reagan, his most famous client, once remarked: "Nobody could afford to dress completely with Jimmy. I hang on to what I have." 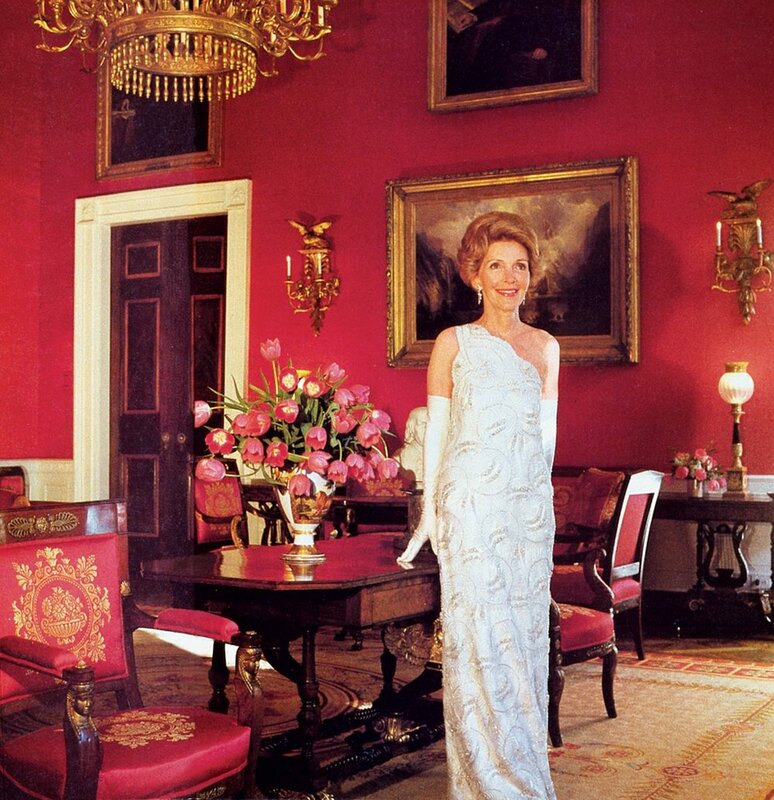 In keeping with this statement, Nancy wore a fourteen-year-old Galanos gown for her husband’s first state dinner as President, and she had previously worn his designs for her both her husband’s gubernatorial balls and both of his Presidential inaugural balls. 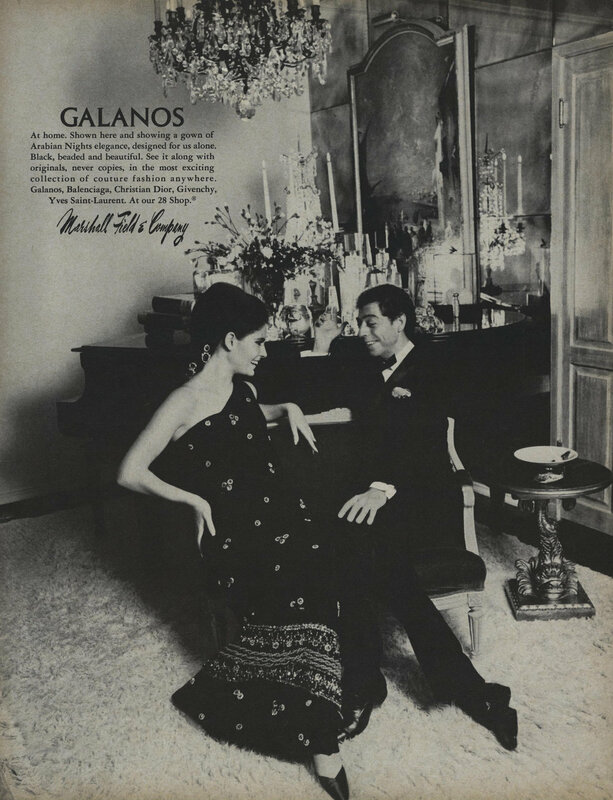 As he aged, his designs lost some of their youthfulness but Galanos never lost his clientele. Standing firm to his belief that quality was of the utmost importance, he commented in 1966: “The older I get the more understanding and sensible I become. I just want to design clothes with reason and feeling.” Though he had never played the part of fashion insider enthralled with the circus of fashion week, Jimmy’s designs continued to appear in Vogue and other fashion magazines until his retirement in 1998 and even took an upswing in influence during the Reagan years of the 1980s. In 1981 he said, “There is a new mood for the eighties. A lot of it has to do with the new regime in Washington. The White House is going on a glamour binge, stimulating women to come out of the doldrums. Women are ready to take on a new attitude; they want to show themselves to be beautiful and special” —and Galanos was there to help them achieve this with an array of silk and sequin evening frocks for every gala and event. He received the Council of Fashion Designers of America Lifetime Achievement Award in 1985. 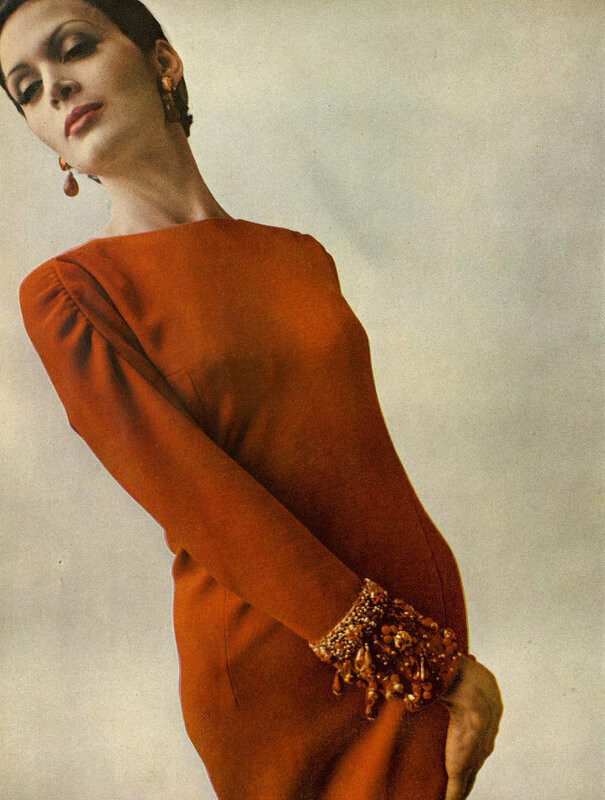 Much earlier, in 1961, Galanos told an interviewer, “Clothes don’t necessarily have to be practical, but they do have to be beautiful because then they influence women to think beautiful”; a fitting epitaph for his whole career. 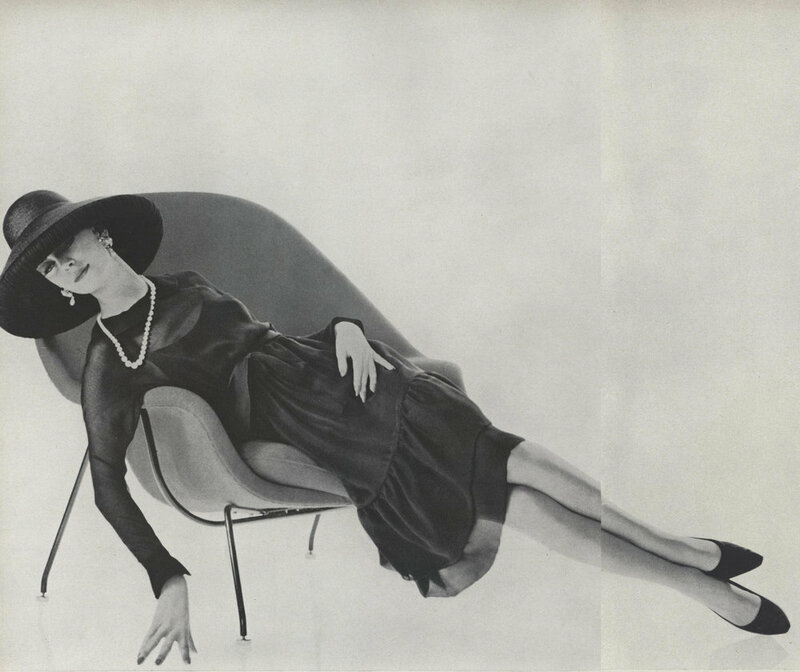 Following his retirement, Galanos began taking photographs; his first exhibition took place in 2006 when he was 82. He passed away in his West Hollywood home on October 30th, 2016—a month after announcing the donation of his full archive to the Fox Historic Costume Collection at Drexel University.